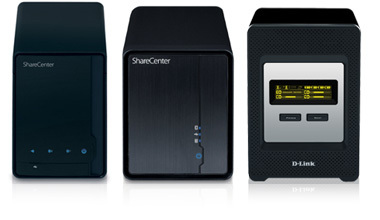 We offer ShareCenter devices with and without hard drives so you're free to choose the best solution for you. 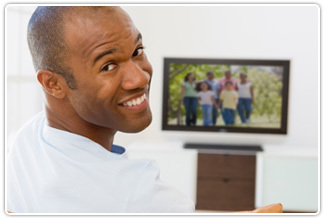 Stream saved content to your TV and enjoy it from the comfort of your couch. You've probably heard of external hard drives. They plug straight into your computer and store copies of your important content so if your computer crashes, you don't lose everything. Network attached storage (NAS) devices are a lot like external hard drives, but instead of connecting directly to your computer, they connect to your network. This fundamental difference sets NAS devices worlds apart from external hard drives and offers many benefits that external hard drives do not. NAS devices let everyone on your network back up their content to one central location, so everyone's digital content is protected no matter what computer it's on. NAS devices let you give access to other people on your network so everyone can share saved content. That means if someone saved vacation pics to your NAS device from the family PC and you want to access those photos from your laptop, you can. 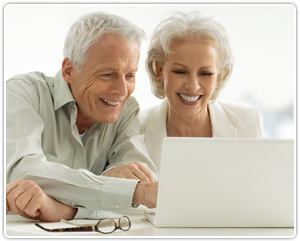 With an external hard drive, you have to take the time to manually back up files from your computer. That means plugging the device in and locating everything you want to back up each time. Plus, it means keeping up with it on a regular basis. One of the great things about NAS devices is that they’re always connected to your computers and can be programmed to back up your important files on a schedule, so you don’t have to think about it. Many NAS devices let you stream your saved videos, music and photos to your entertainment center so you can enjoy them on the big screen with your killer sound system all from the comfort of your couch. 3.5" SATA (Serial ATA) hard drives can be found easily online or in most electronics and office supply stores (think Fry’s, Micro Center, etc.). As long as the hard drives you purchase are 3.5” SATA drives, they will work with your ShareCenter Device. For a list of compatible hard drives, click here. You want to use your ShareCenter device for extra space to store your digital content and to share that content with all of the computers on your network. You want to store and share content over your network, but you also want to take advantage of RAID 1 technology to ensure that if one of the drives crashes, your content is still safe. You want to store and share content over your network using RAID 5 technology because it offers data protection in the most capacity efficient manner.